If there's one thing Nintendo fans love to do above all else (apart from agonising, complaining, rejoicing, and practically hyperventilating over actual, rumoured, or even fictional Nintendo Directs) it's speculating over which characters may or may not appear in Super Smash Bros. Ultimate. One character who has been talked about for quite some time now is Dante of the Devil May Cry series, with many hoping to see him face off against Hideki Kamiya's other creation, Bayonetta. With Persona's Joker being revealed as the first of five upcoming DLC characters, only four spots now remain, and Dante fans are hoping that one of these may well be reserved for him. Devil May Cry's current director, Hidaki Itsuno, has spoken about the character's potential for a Smash appearance in a recent chat with VG24/7, noting that the series has never been available on a Nintendo platform, going against Smash's usual system. It's a valid point; almost every Smash character has appeared on a Nintendo system at least once. Cloud is a notable exception, but he acts as a representation for Final Fantasy as a whole, a series which has appeared on lots of Nintendo systems over the years (and Final Fantasy VII is coming to Switch in the future, of course). VG24/7 notes that Itsuno ended the statement by gesturing to a Capcom representative in the room, saying "Tell her!". It certainly sounds like there are no plans for Dante to appear in the game, and the more logical step may well be to let Capcom know of any demand for the series on Switch. Are you still hoping to see Dante in Smash? Would you like Devil May Cry to come to Switch? Let us know in the comments. I wouldn’t imagine we’ll see DMC5 on Switch anytime soon, but the rest of the series seems feasible. I’d buy them. Nope, but give us DMC games on the switch! Well, at least he acknowledges the fact that no DMC games were never available on a Nintendo platform. We can only hope that Capcom will port the collection to the Switch and in a non distant future the newest entry of the series. Yeah, give us some remastered ports. I’ve never played the series so would be happy to see it come over. 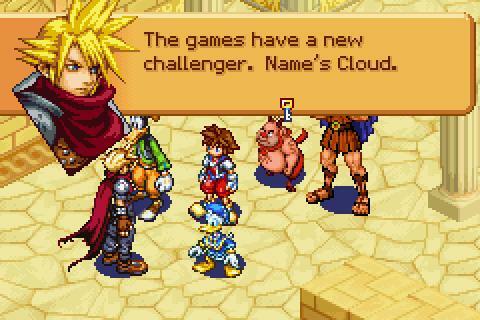 Also pedantry alert: Cloud did turn up in some handheld FF spin-off (Tactics Advance? Not sure, something like that). Nah, there are enough characters thst actually deserve a spot. But I would love for a DMC on switch. I still think it was wrong for Cloud to be chosen as the FF representation. He’s the first FF character to NOT appear on a Nintendo console. I love that he is in it and ffvii is probably my second favorite (love ix too much), but it really should’ve either been Cecil or Terra. Some sort of DMC spin off exclusively for the switch could be interesting. Chances for that are pretty low, but not that lower than a port for DMC5. But Dante has been on a Nintendo console through the 3DS games Project X Zone and there was Dante Palico Armor has in Monster Hunter on 3DS. Not much different from Cloud imo. Just Sayian. The PS5 and XB2 are just going to cost developers fortunes to make games for. There's more money in developing for a console with less horsepower, especially one with a large install base after only 2 years. Shove all the games on Switch instead! Nate from Yo Kai Watch, Leon from Resi 4, Travis Touchdown and Amaterasu would be my dream 4 for the other DLC characters. Wasn't Cloud in the original Final Fantasy Tactics as an unlockable character? That's cute. But dmc collection could easily have been ported over to the Switch (along with Resident Evil 7 and 2 remake via Panic button) if CAPCOM wanted it to. Capcom hates easy money it seems. I love Smash as much as the next man but I'd be disappointed if the whole of the fighters pass was made up of non Nintendo characters. Its cool seeing Snake etc but Smash is at its best when its a celebration of Nintendo's first/second party history and not advertising space for other big third party companies games with only the weakest of the links. Hope the rest of those slots can be used to house franchises that deserve it and the likes of Joker and Dante are left well behind. 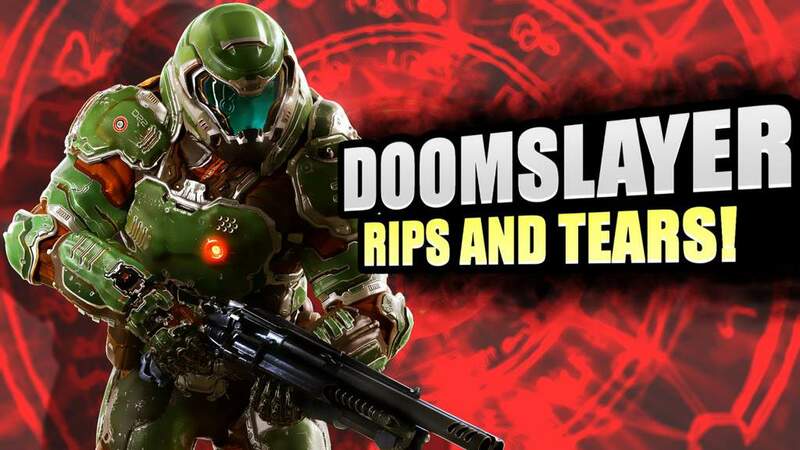 Who cares about Dante, get my man Doomguy in. This is refreshing to hear. Someone with some actual sense. I think the original DMC trilogy has a chance of seeing a release on the Switch but it depends on how well Onimusha sells. @Mando44646 Cloud has made small, non-canonical appearances in games like Theatrhythm Final Fantasy and the Kingdom Hearts games on Nintendo handhelds. And Joker is in Persona Q2 on 3DS, which has already released in Japan. Not exactly the iconic appearances they’re known for, but your statement is technically incorrect. He is basically telling Nintendo to get some DMC games on the console and they can use Dante. Get on it Nintendo, get those ports. @Trikeboy That’s not up to Nintendo. CAPCOM needs to decide whether or not to port the series to Switch. I'm pretty sure Abigail from Stardew Valley is going to be one of those DLC characters. I still think Goku is a good possibility. Bring Amaterasu instead. 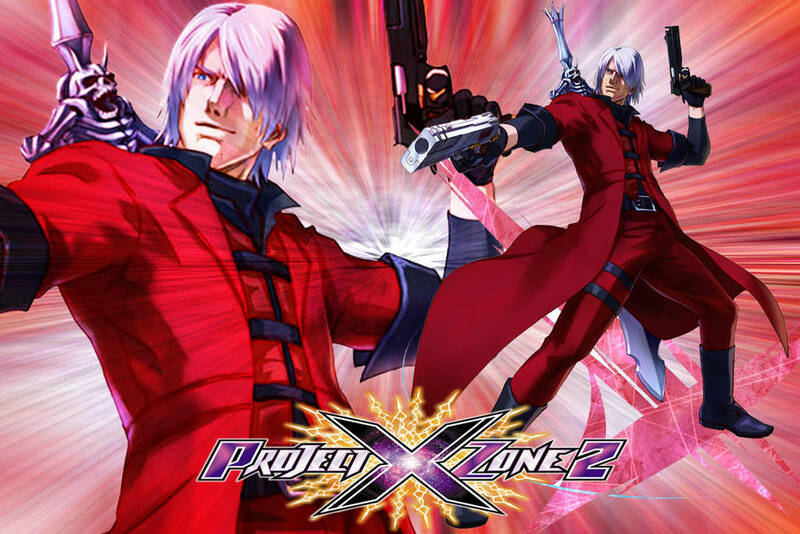 Or maybe even some of the more obscure Capcom characters especially the ones from Project X Zone/II. The Sony Smash rip off can keep him. Yeah, I know that the article and probably a billion comments explain it, but... why, again, is Cloud in Smash??? And why do we need this guy? Would love a collection of the previous games on switch, loved 1 & 2, never played the rest. So Dante in Project X Zone (which is a Nintendo 3DS exclusive) doesn't count? Okay, not a good excuse but okay! I think Samurai himself mentioned a GBA Kingdom Hearts as the source of Cloud on a Nintendo platform. He is also in other crossovers as has been mentioned by other user ( same for Dante). They can keep Dante out of Smash but I wouldn't mind having DMC on the Switch. @Mando44646 Nah, Cloud appeared as a lead character in both Final Fantasy: Theatrythm games for 3DS and had a minor (but speaking) role in Kingdom Hearts: Chain of Memories on the GBA, so he's been on Nintendo systems. Joker's new though, since his first appearance on a Nintendo system would have been the yet-to-be-released Persona Q2 for 3DS if not for Smash. Dante would be awesome to play as, even as an echo fighter of some sort for Bayonetta. I’ve been holding off buying Bayonetta because I want Devil May Cry to be on Switch instead. Am I an idiot for hoping/thinking that’s gonna happen? Dante for Smash! Dante for Smash! Oooh and then maybe VIRGIL would be the echo fighter/different costume. That would be a meh pick for me. Wasn't Dante in one of the Viewtiful Joe games as well? Not that I want him in Smash. The comparison with cloud is apples and oranges...you have to remember that franchises and characters are treated as different entities in the Smash series. Sure, Cloud has basically the same quality of appearances in Nintendo systems than Dante ...but the Final Fantasy franchise have a long history of games with Nintendo. Joker has even less games than Dante on Nintendo platforms...BUT again, he is representing both SMT and Smt spinoffs, and because of that, has an edge of Dante. Devil May Cry on the other hand have zero games on Nintendo. Now on the other hand if there was an old GBA game in which you played as Little Sparda Solving puzzles called DMC the Preschool years...now then Dante would have a claim for Smash, because he would be the most representative character in a very popular Franchise WICH has actually a game on a Nintendo system. If the franchise itself has a chance, the character can be pretty much anyone or anything that made as much as a 2 second cameo in a Nintendo released game. But DMC right now has no chance. That's how it works for Smash. I'd buy the trilogy collection on Switch. rather have doomslayer make his way in then dante. I don't see why people get upset if a character doesn't have an appearance in a Nintendo console. I know some people don't like to have characters from other consoles in Smash but they all have in common that they all are videogame characters. Why people feel relief that a character has appeared in a spinoff when most of us want to have mainline games of those 3rd party games? I find that pointless because it's not the same to play a spinoff game than a mainline game. So in my opinion, having a character in a spinoff game doesn't count as valid reason. Also I think that having a 3rd party character appear in Smash can increase demand for said game to appear in the Switch. Oh if Capcom put the first 3 DMC games on Switch, I’d lose my mind. @SamusLv7 While I acknowledge that people enjoy Smash for different reasons, for myself and many others, Smash is a celebration of Nintendo gaming. I have only ever owned Nintendo platforms, and up until recently, Smash has almost entirely been about first party characters. Even at this point with the handful of third-party guests, the cast is overwhelmingly Nintendo properties, and it will stay that way, for obvious reasons. When third-party characters are introduced, and they are now fighting alongside characters I’ve grown up with, I’m naturally curious about their origins, stage and music, and characters like Cloud, Joker and presumably Dante are total strangers to me and many others. However, unless I purchase another video game console, I can’t enjoy the origins of these characters, nor can I connect with them on a meaningful level. By contrast, I can revisit the histories of characters like Ryu, Bayonetta, Mega Man, Sonic and Pac-Man right on the Nintendo hardware I already own, growing my knowledge of and connection to those characters, making their animations, music, attacks and minor details appeal to my nostalgia. Smash is clearly a game about Nintendo and its rich history (with a minor amount of third party representation), and characters who have no ties to Nintendo whatsoever are as out of place in this game as Captain Crunch would be in the Justice League. They don’t fit the theme of the game. Again, I don’t run the show and I don’t choose the characters and I have no right to tell people what to like or dislike. I’m just trying to explain to you why some people don’t like the idea of characters who have not appeared on Nintendo platforms showing up in Smash. People always seem to forget Cloud's appearances in Nintendo consoles before Smash. Sure, his game took a while to get released on Nintendo consoles, but the character himself has made a few appearances. Most significantly in Kingdom Hearts Chain of Memories for GBA and Kingdom Hearts Re: coded on DS, where he is a main character in the Olympus Coliseum world. Joker was technically on Nintendo consoles already before his announcement for Smash, as Persona Q2 was released in Japan a week before the Game Awards, so it was pretty close. I'm sure talks for him to be in Smash had been going on for a while, at least as long as Persona Q2 had been in development. @BranJ0 I honestly think that a company with a history as long and varied as Nintendo could still bring forward first party characters with Piranha Plant being a great example of a left field choice that surprised everyone. Im not against third parties all together but start with the first/second party characters before moving on to third party companies that have long ties and have provided exclusive main line games before they start selling off slots to the highest bidder and the roster starts to look like PlayStation All Stars with the likes of Dante, Cloud and Joker. @thesilverbrick I see. Thanks for explaining me. Since I grew up with family and friends that has different types of consoles, it was difficult to me to understand the ones with mainly Nintendo consoles, but I think I understand now. Well considering dmc originally started out as a resident evil 4 prototype and that was on GameCube. Considering the many nods to be had between the series. With the possibility of a dmc he collection coming to switch. Well chew on that a bit. 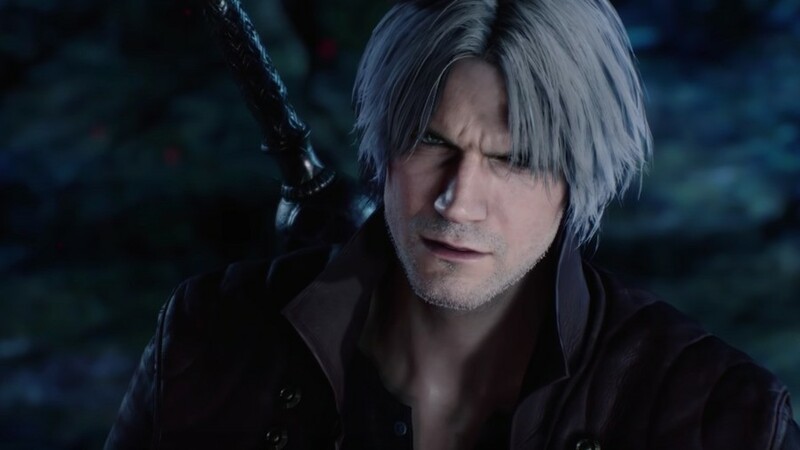 With Dante aged beyond mainstream audience acceptability in DMCV, it'd be at least the next entry in both franchises before this ever happened. The moveset practically writes itself with B being Style Change (ala Shulk's Monado Arts). And believe me, Royal Guard bringing back timed-block Perfect Shielding and its reflecting would be very welcomed by players. @SamusLv7 No worries. And I definitely understand why some people aren’t as emotionally invested and like seeing characters from all over the place. I might just be one of the crazy ones that cares too much, haha. I don't think DMC is out of the question. We're getting more RE ports this year and Capcom have ported over last gen entries for DMC and even Dead Rising to modern consoles. I could easily see the DMC HD Collection, 4 and that DMC reboot make it to Switch along with Dead Rising 1, 2 and Off The Record. 5 is a stretch and probably not possible. I reckon the final one will be Waluigi. I actually like the third party characters as long as they belong in the overall theme of Nintendo gaming history. Smash right now is THE biggest gaming celebration game ever, and while having Master Chief duke it out with Samus is something people with no particular console allegiance will like, I’d still prefer if they kept it more like they had up until now. Still any fighter is a welcome addition even if they don’t feel at first like they belong. DMC isn't going to be on Nintendo hardware anytime soon, if ever. As if Capcom aren't going to release the Devil may Cry HD Collection on Switch at some point. Honestly, if the DLC characters are all third-party, I don’t mind. I WILL say that characters like Cloud or Joker don’t really fit my personal parameters for Smash, but it’s ultimately not up to me. The problem with third-party characters at this point is I have a hard time thinking of any more hotly demanded fighters from major franchises. Sonic, MGS, Mega Man, Pac-Man, Street Fighter, Final Fantasy, Bayonetta, Castlevania, Persona, likely Dragon Quest; what else is there? Resident Evil? Ninja Gaiden? Dark Souls? Disgaea? Ys? A Tales character? One of the Harvest Moon/Story of Seasons kids? A Rune Factory rep? Professor Layton? Yo-Kai Watch? Warriors? Atelier? All of those could conceivably be choices since they have had games on Nintendo hardware, but none of them are in heavy demand. @BranJ0 I can see where you are coming from, but I disagree. There are plenty of awesome first party characters that have seen zero love. I think the hype for third parties comes from the broadening of possibilities Smash Ultimate has created. Battalion wars? Dead IP I know but still the moveset could easily be like snakes if they made the grunt a character. Just saying Nintendo has plenty of awesome possibilities in house that I wouldn’t complain if they elected to bring to Smash. 3rd parties have tons of awesome choices too though and they seem more and more likely so I can’t help but agree there is more hype now for them then ever before. @SetupDisk I believe he is but only exclusive to the PS2 versions, he never appeared on the GameCube games. Well seeing as how the switch is a port machine and doing extremely well I wouldn't be surprised if Capcom ports over both DMC4 and DMC. They're doing the same thing with RE4, remake and zero. Cool if you don't have a PS4 I guess. Still would love an exclusive original Capcom switch Game that makes unique use of the joy cons and HD rumble but it will never happen. Even if it did it would just be a timed exclusive. Look at what happened to both resident evil umbrella chronicles and darkside chronicles? A year or so later they got ported to the PS3. @WaveBoy Tatsunoko vs. Capcom, Mega Man Network Transmission, Monster Hunter 3, Gotcha Force, We Love Golf!, P.N. 03, and Zack and Wiki are all still Nintendo platform exclusives though so not every Capcom games are time exclusives. I do agree though that Switch needs an exclusive Capcom game that define its platform as these multi plat releases and ports are just money milking and not unique releases like the GameCube and Wii games. Still hoping to some day smash away with my homie Doshin / Jashin. Come on Nintendo, time to really dust off your own history books and see their hidden potential! @WaveBoy Monster Hunter 3 on Wii alone sold better than the two mediocre RE Chronicles games you just mention though. This seems like a valid confirmation that Dante isn't one of the five characters that Nintendo chose as DLC for Smash Ultimate. I think we got enough Capcom reps as is, anyway. Do we really need another character that has hardly contributed anything to gaming history? Oof, shame that Joker fits that description a little too much but oh well. Smash needs (I need) a text adventure character, be it Kyle Hyde, Ayumi Tachibana, or Phoenix Wright. Almost forgot mah boi Sissel from Ghost Trick. @Yomerodes well the mainline FFs have only appeared on 2 Nintendo consoles other than re-releases of the same games on later handhelds. FF's main series hasn't had a current game on a Nintendo platform since 1994, aka a quarter of a century ago (man, I feel old). So appearing over only 2 generations and no more recently than a quarter of a century ago... It's not the strongest of ties. Bayonetta 2 runs excellent on the Switch. There is no reason why a DMC: Definitive edition port can't work on the Switch. It was originally an Xbox 360/PS3 game. I think that be a great start with the DMC trilogy following afterwards. It is not about the ties being strong or not. It is about a franchise having a chance by having a tie, with at least single game released in a Nintendo system no matter how old, obsolete or bad. And of course you have to remember, even if certain character didn't appeared in this games, if the franchise is in, they are valid material. -And, as the people behind the games know and we can read in the main article, Devil May Cry itself. It also came out on the 3DS and wii u yet was originally planned to be released on the PS3 but due to develop costs/budget they instead created it for the wii. Monster hunter seems like a series that keeps churning out sequels left and right. Capcom probably already had a sequel by the time they ever thought to port MH3 to other consoles. Also umbrella chronicles was definitely mediocre....by the time I got to racoon city I was like,"I'm out" the quality went to doo doo at that point and it just growed tiresome. Bosses took HOURS to beat, their hit zones were so tiny and they ate bullets like the cookie monster. The zombies reacted oddly to bullets and it was just too slow paced for an on rails game. Okay guys let's just come to the conclusion that the reason Smash will never get him is because PS All-Stars already got him (well a version of him that is). Time to move on to a better guest character prediction. I've never played a DMC game so sure.